The blog hop makes a circle so if you are starting here just continue until you make your way back and you will have made it through them all. If you have already started and are coming from Wendy Coffman's blog, "Stamping Rules! ", then you are on the right track. This is my first CTMH SOTM Blog Hop, and only my second blog hop ever! I am so excited to have you visit my blog and I truly hope you enjoy my creations. You know some stamp sets call to you as soon as you see them. Some stamps you have to see them used before you think, "Now, I've got to have that stamp!" Some stamps surprise you in that they don't call to you and, you either haven't seen them used in a way that inspires you, or maybe you've never seen them used at all, but once you get to playing with them, the creative juices get to flowing and there in lies the surprise. The latter is how I would describe this stamp set for me. It didn't call to me right away and I stared at it for a good 10 minutes or so before I actually took an image off the sheet and started playing. I embossed my first few images and then soon trashed them. But here's the key...don't stop playing! Sometimes when you get a creative block, it helps to walk away and return later. Sometimes it helps to check your idea books or favorite blogs and web sites for inspiration. However, sometimes all you really need to do is just dive in and keep playing. My goal was to make one card. After all, that's all the hop requires me to do. However, once I kept playing, the creative juices started flowing and I ended up making three different cards and I mean "different". CARD 1: "LOVE": Have you ever started a project with an idea in your head, but once you're actually IN the project, you have the thought..."What was I thinking?" That pretty much sums up this card. I spent a couple of (collective) hours working on this project. Even after I finished, I still wasn't sold on the final project, but it has since then begun to grow on me. 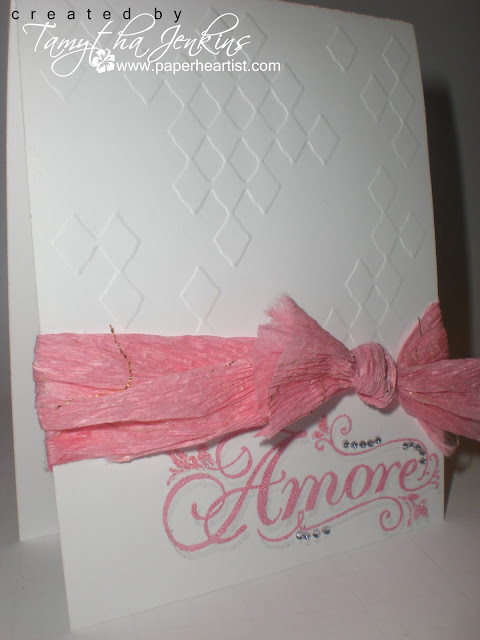 CARD 2: "AMORE": My lack of enthusiasm for the last project, led me to create this next card. I really enjoy scouring over blogs for inspiration. In my cyber travels, I'm always taken with the cards that are so clean and simple, yet have so much power. So, especially after the time put into the last card, I wanted to try my hand at a clean and simple design. I have to say...I just LOVE how this card came out. Sometimes less is definitely more. 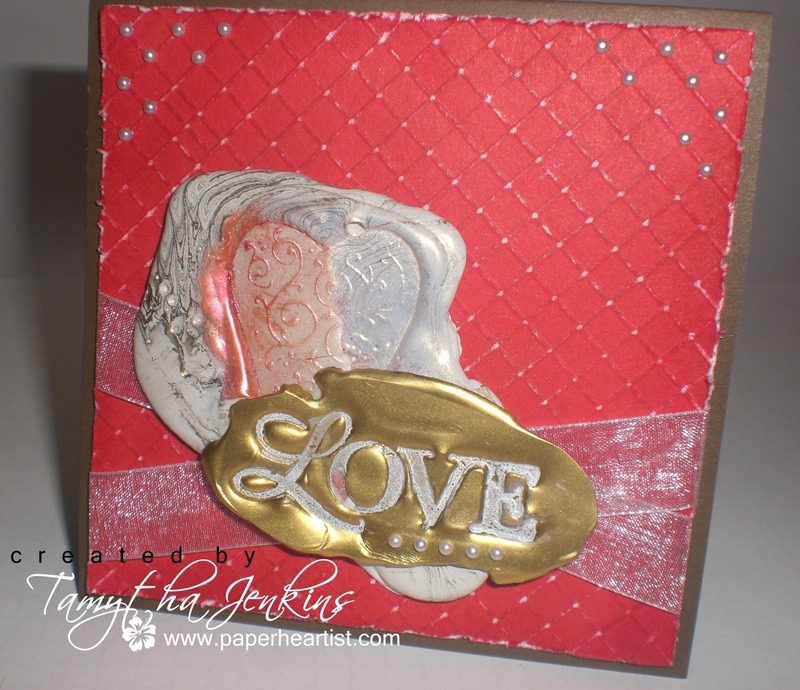 CARD 3: I LOVE YOU: This card is pretty straight forward and simple to make. 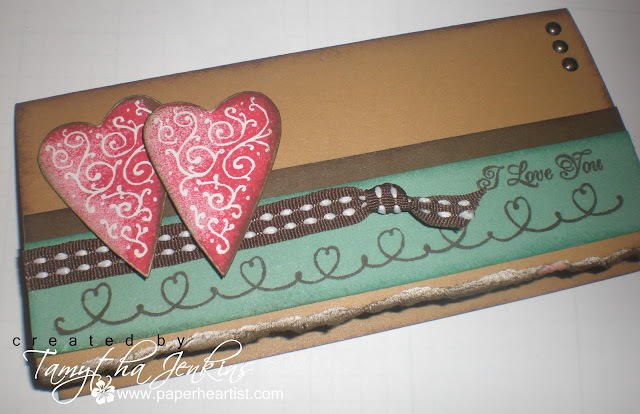 The colors are taken from this week's Color Me Monday Inspiration Challenge on Jeanette Lynton's blog. Remember, if you love what you've seen so far along your SOTM Blog Hop journey, and you want your own "Amore" stamp set at a discount or for FREE, be sure to contact your Close To My Heart Independent Consultant. If you don't already have a consultant, I'd love to be yours. 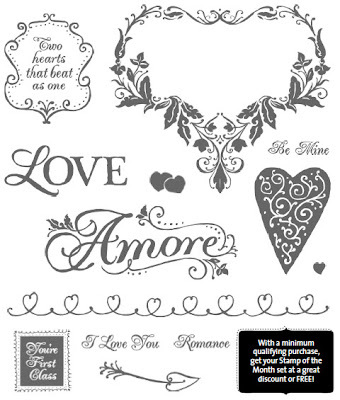 You can find details on the "Stamp of the Month" here on my blog, or by clicking on the "Shop with Me" link near the top of this page. Of course, if you have any questions, please don't hesitate to contact me. If for some reason you get lost along the way, you can always find a list of all this month's CTMH SOTM Blog Hop participants on Kathleen Androlewicz's blog. I think my favorite is the last card. Thanks for sharing all of them. I like the white card best, but clever use of pearls on the 1st card! Very nice cards. I love the simple white embossed card. 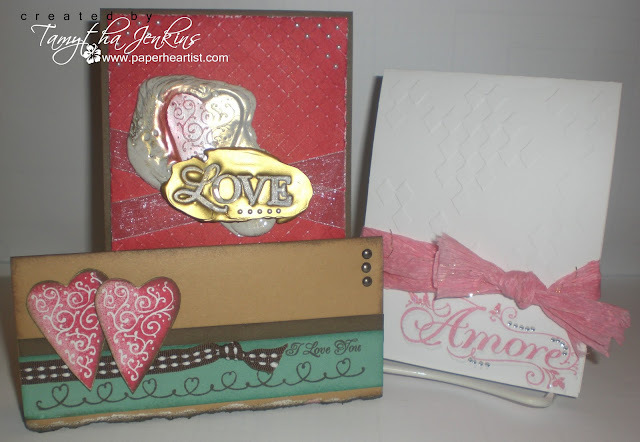 I have been attracted to that embossing folder, and may have to break down and get it now that I have seen your card! I like them all but card #3 just "clicks" for me! I might have to copy that one! What a great job you did on all of your cards. I really love the simple ones, so I have to say that one is my favourite. Thanks for sharing. They all look great!